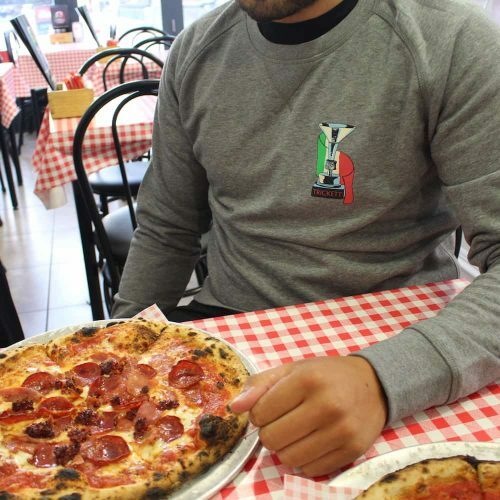 When I last went to Napoli there was an old man sat down selling some hand painted pottery and SSC Napoli stickers. 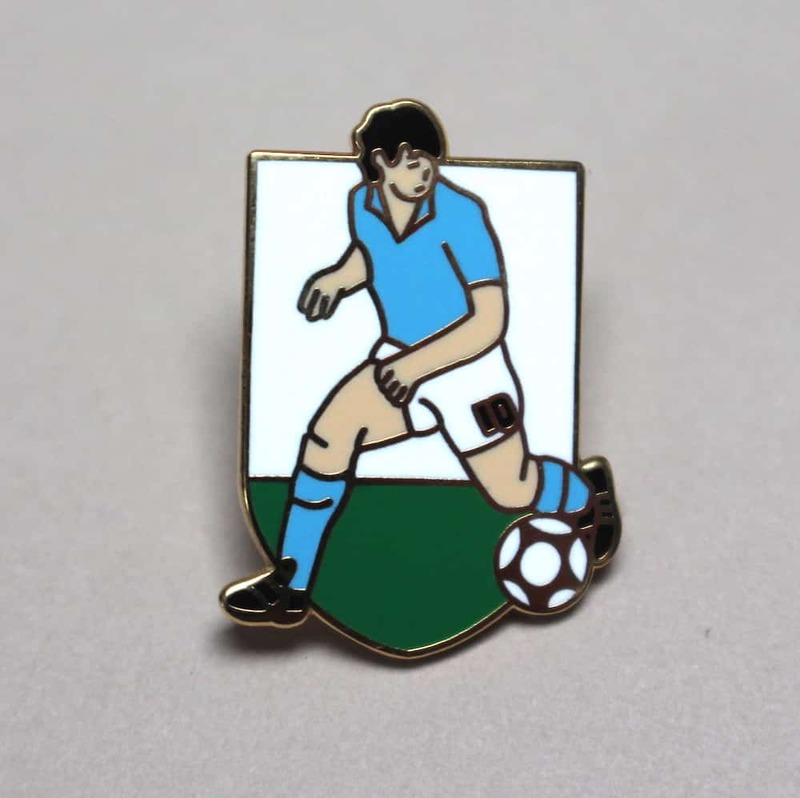 When I came to have a look at the stall, I saw that the chap was wearing a pin badge of Diego Maradona, when I asked him how much it was, he basically told me that he would only sell it to Diego himself. 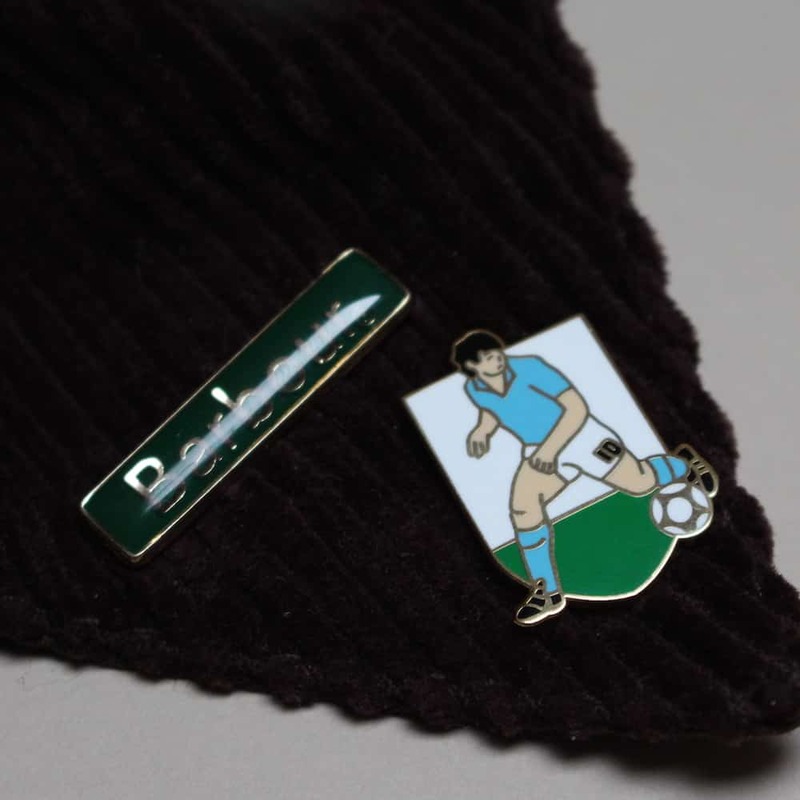 Turns out that these badges were sold when it was first announced that D10S was signing for Napoli. They were sold by street salespeople. I took a sneaky photo of the badge and decided to make my own. Made in the UK by our pal Andy, they come with a secure back and feature gold metal, approximately 1 inch in height.